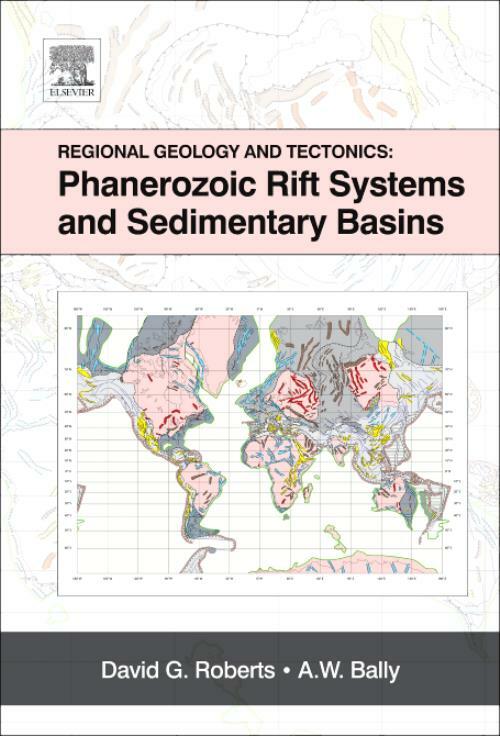 Expert petroleum geologists David Roberts and Albert Bally bring you Regional Geology and Tectonics: Phanerozoic Rift Systems and Sedimentary Basins, volume two in a three-volume series covering Phanerozoic regional geology and tectonics. Experience in analyzing and assessing rifts-locations where the Earth's outer shell and crust have been stretched over time by seismic activity-is critical for you as an exploration geologist in identifying Earth's most lucrative hydrocarbon locations in which extraction is both efficient and safe. Vast compilations of related industry data present regional seismic lines and cross sections, and summaries of analogue and theoretical models are provided as an essential backdrop to the structure and stratigraphy of various geological settings. The Gulf of Suez Rift Basin. J. Peijs, T. Bevan & J. Piombino. Before joining Rice, he was Chief Geologist and Exploration Advisor to Shell Us and Pecten. Dr. Bally is a past President of the Geological Society of America and is the holder of many major awards including the Sydney Powers Award of the AAPG, the Penrose medal of the Geological Society of America and the William Smith medal of the Geological Society of London to name but a few of his awards. In particular, he is internationally recognised for his early work on cross section balancing in the Canadian Rockies.